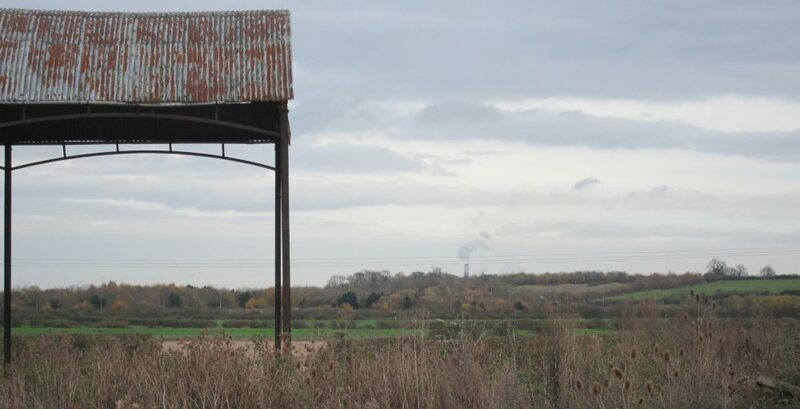 The window over the kitchen sink faces due east and the top of the 199 m-high chimney at Ratcliffe-on-Soar power station is just visible over a hill, nearly 7 miles away. It makes for an interesting contrast to the wind turbines visible from windows facing north. I quite like being able to see the power station and it only takes a glance to check whether it’s running or not. Over the summer it was rare to see it operating at all. Now autumn is here I’ve noticed it seems to be running most of the time – though not at full capacity, judging from the modest amount of steam from the cooling towers. Today’s news reports help to explain why: Polluting UK coal plants export power to France as cold weather bites. Personally I’d prefer a less sensationalist headline since the French Interconnector has a maximum capacity of 2 GW compared to a total UK consumption figure typically in the 30 – 50 GW range. The underlying data shows this interconnector has indeed been exporting at full capacity to France recently whereas normally it’s importing nuclear-generated French electricity to the UK. Ratcliffe-on-Soar has quite a lot of pollution mitigation measures installed and hence isn’t too bad for SOx and NOx emissions, but coal is still fundamentally a high-carbon fuel – significantly worse than gas. Why is this important? Because Marsh Flatts Farm is all-electric for cooking and heating – and the addition of an electric car will further increase the reliance on electricity. It’s all very well having zero carbon emissions at the point of use but if those translate to high carbon emissions at the power station that’s clearly no good overall. When specifying the heating system I initially had some misgivings about “wasting” electricity by using it for heating. Initially it seemed better to preserve electricity for things which absolutely demand it and to provide heat by burning wood or gas. In particular, why burn gas at a power station and suffer the unavoidable losses from turning that into electricity and transmitting it over a long distance when you can just burn gas directly? Well: a) there’s no mains gas available at Marsh Flatts Farm, and b) with a good heat pump it’s easy to get much lower carbon emissions than with a gas boiler – especially now that the carbon intensity of the UK electricity grid has reduced so much. 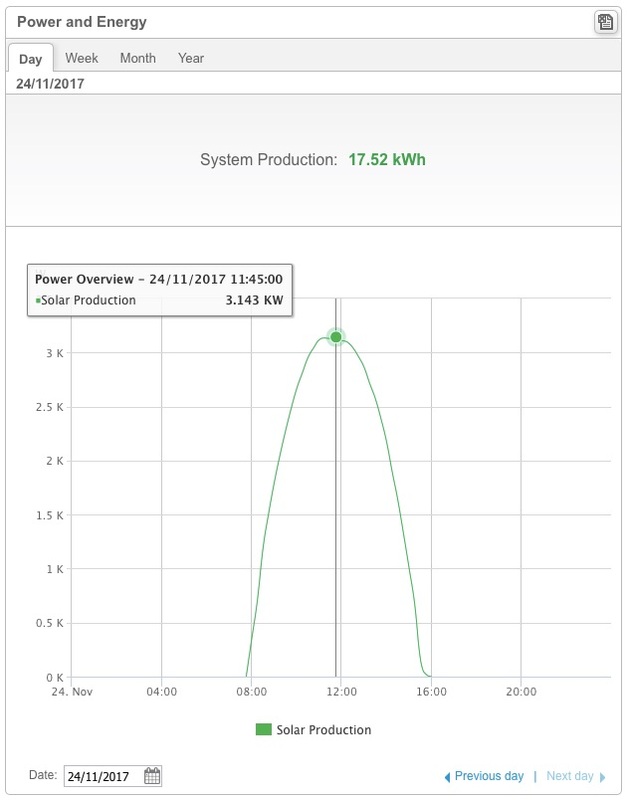 As evidence of “..more than 4 times as much heat as it consumes in electricity”, in the past 24 hours my NIBE F1145 Ground Source Heat Pump consumed 8.53 kWh of electricity and generated 36 kWh of heating water at a nominal 30 degrees C. That’s a coefficient of performance of 4.22.